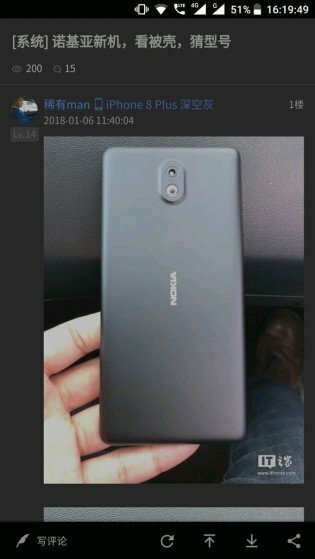 The Nokia 1 smartphone is expected to go official in March 2018.
device is rumored to be the most affordable smartphone in HMD’s line-up, with a price of around $95/€80 and a launch date somewhere in March. 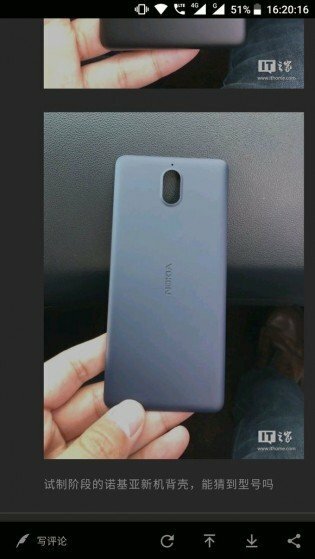 Rumors make it sound pretty similar to the Nokia 2 with a 720p IPS screen and modest memory capacity, 1GB of RAM and 8GB storage. A metal frame and polycarbonate body hark back to the Nokia glory days. In terms of look, the Nokia 1 doesn’t offer something way better than you’d rightly expect of a budget smartphone. The rear features polycarbonate, but there is an aluminium frame to enhance durability. This is an attractive device for the price, though. Interestingly, Nokia 1 enjoys water drip protection with an IP52 rating. A 5-inch IPS display offers decent screen estate for content viewing. A resolution of 720 x 1,280 pixels means image quality should be good as well. There is also Corning Gorilla Glass 3 to protect against scratches. We do not expect a budget smartphone to awe when it comes to shot taking. But it appears Nokia 1 will do a good job with an 8MP sensor donning the rear. It has LED flash and autofocus and shoots HD videos at 30 fps. The 5MP sensor you get for selfies seems like one to deliver quality shots as well. Internal storage capacity is only 8 GB, though. But you have a dedicated microSD card slot for extending this by another 128 GB. On the inside, the Nokia 1 has a quad-core Qualcomm Snapdragon 212 chipset taking care of business. The speed tops at 1.3 GHz – a hallmark of budget phones. RAM capacity is 1 GB. You can look forward to rich user experience with Android 7.1 Nougat OS onboard. 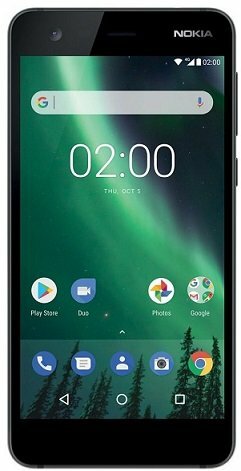 There is planned upgrade to latest Android 8.0 Oreo for the Nokia 2 as well. The major selling point of the Nokia 1 is arguably its 4,100mAh Li-Ion battery. This is pretty impressive for a budget device. It promises talk time of up to 19 hours. HMD Global claims a single charge will last you up to two days. The smartphone offers you a very affordable means of enjoying 4G LTE connectivity. Nokia 1 supports LTE on all major networks in Nigeria including MTN, Glo Mobile, 9Mobile, Smile, InterC, etc. Navigation options on the Nokia 2 include GLONASS and Beidou.